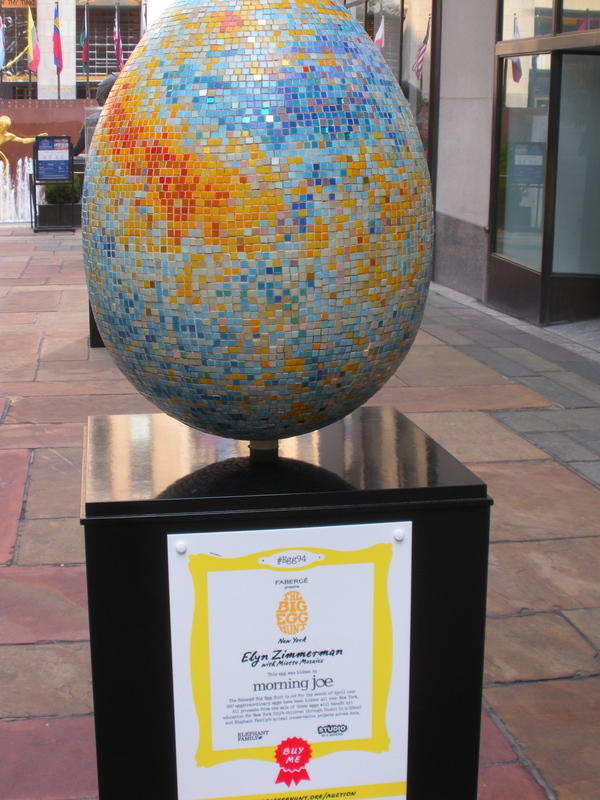 The Fabergé Big Egg Hunt is the world’s biggest egg hunt, with over 260 egg sculptures individually created by leading artists and designers. 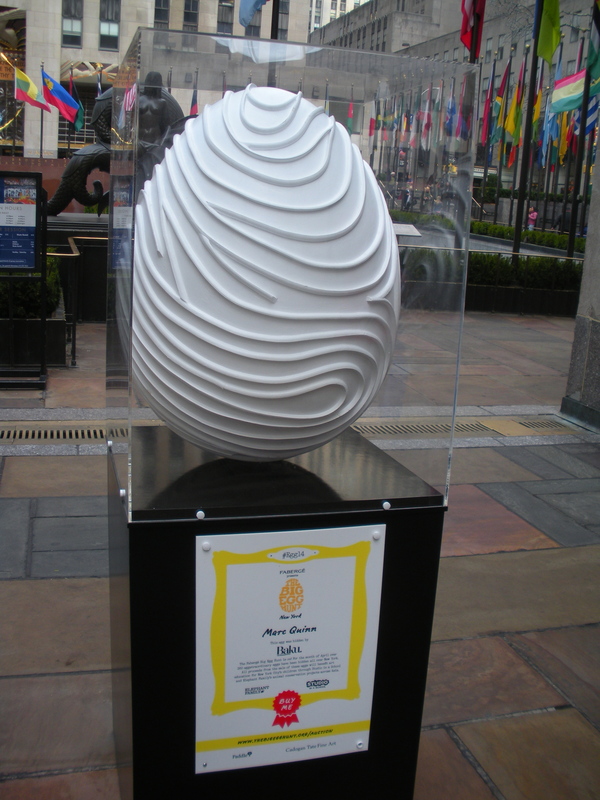 The sculptures will be placed across the five boroughs of New York City. 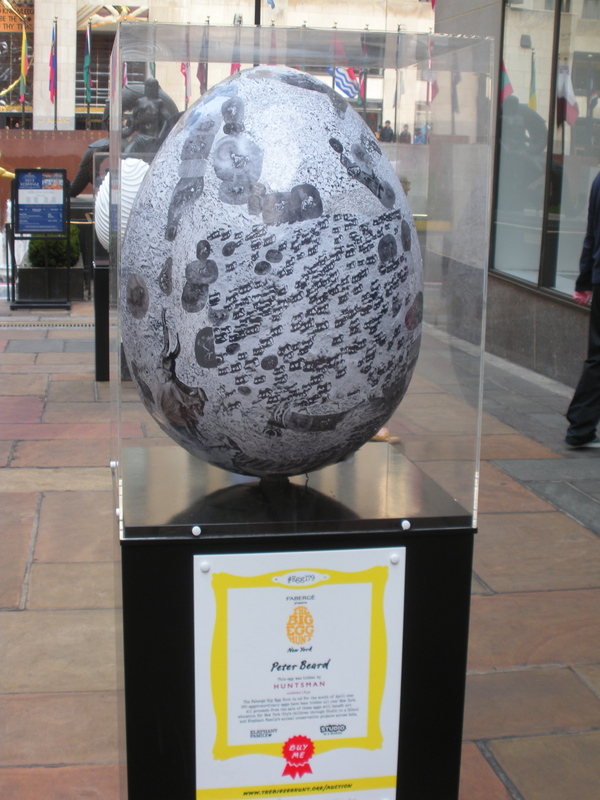 The Fabergé Big Egg Hunt will officially start on Tuesday, April 1, at 7:00 a.m. and will run until Thursday, April 17, at 11:59 p.m. 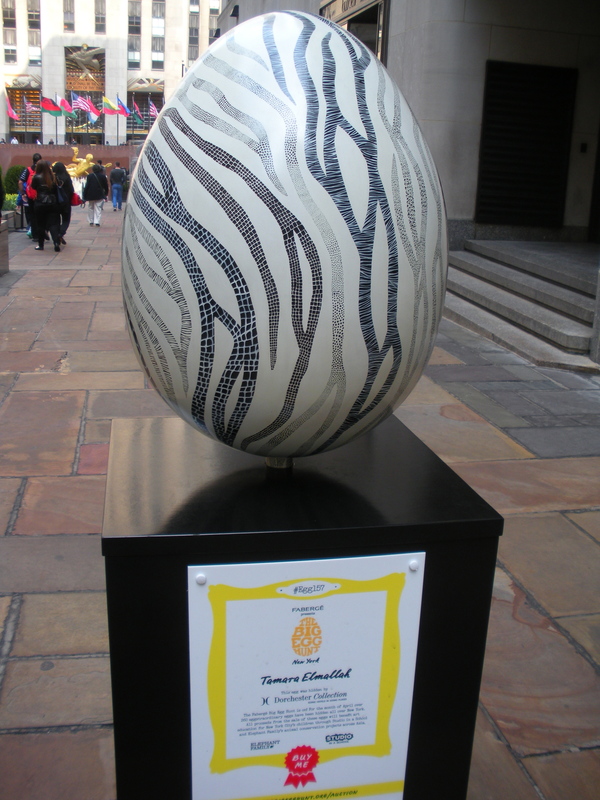 Following the hunt, all the eggs will be placed in Rockefeller Center until Friday, April 25. 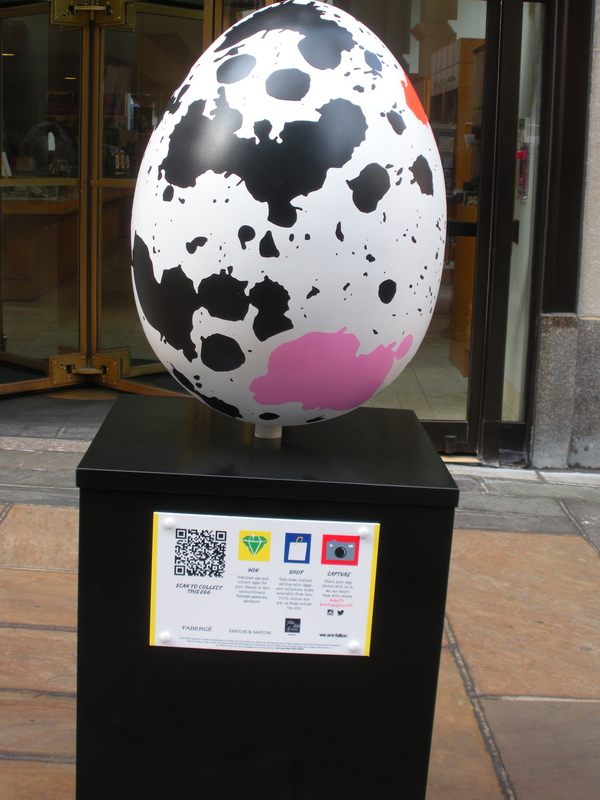 Artists who have designed the eggs include Jeff Koons, Tracey Emin, Marc Quinn, Bruce Weber and Peter Beard, and fashion brands including Ralph Lauren, Tommy Hilfiger, Carolina Herrera, Marchesa, Oscar de la Renta and Diane von Furstenberg. 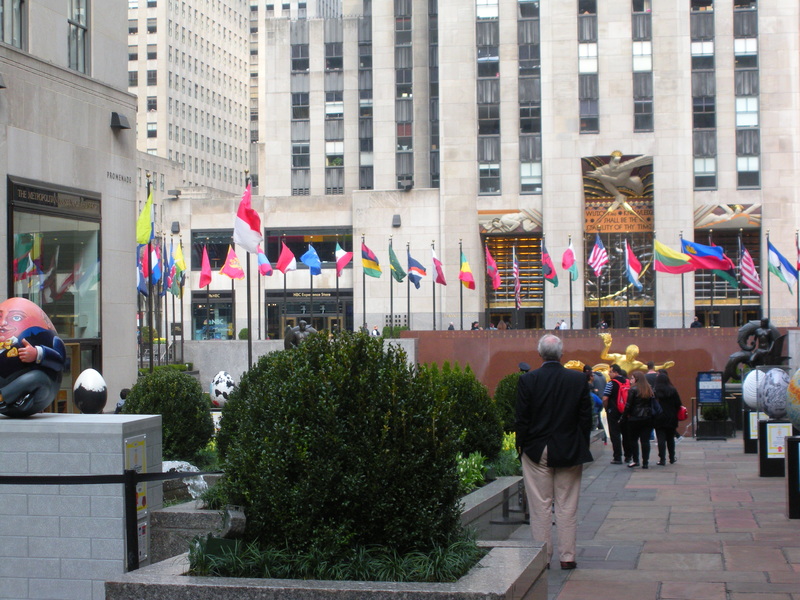 They were very neat to look at-pictured above were some of my favorites. 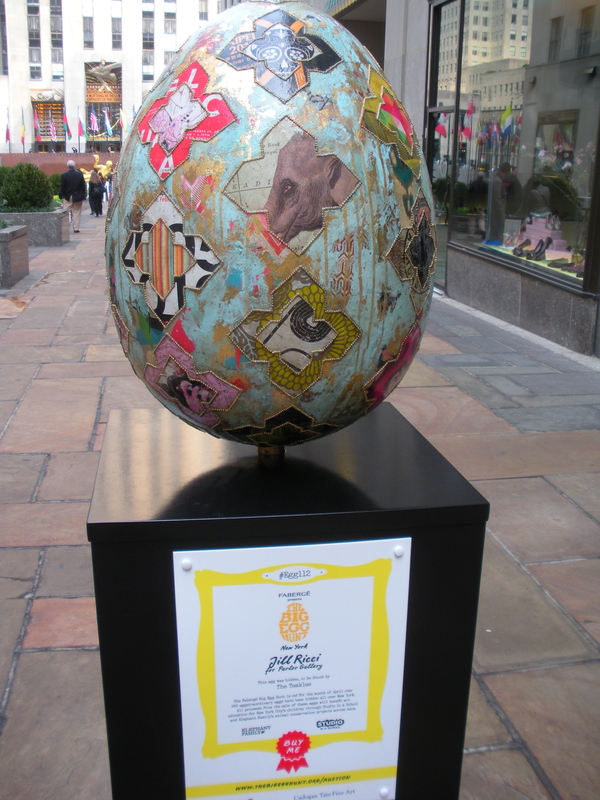 This entry was posted in decorating for holidays, Easter, floral arrangements, gardens, history, Manhattan, travel and tagged Collections, History, Holidays, NYC, Shopping, travel. Bookmark the permalink.